Property 7: Ancient, renovated farmstead with private, equipped garden. Only 3km from the lake. 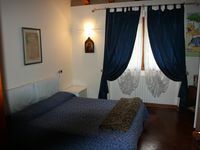 Apartment in the heart of Franciacorta with garden. Property 18: Apartment in the heart of Franciacorta with garden. When we arrived the house was warm an welcoming and complete with all the necessary. the village is near to the services like shopping center (1km) and restaurants .By car Its easy to reach Iseo lake, Brescia ,Bergamo, Garda Lake is at 40 minutes but is nice to walk nearby the house in the hills and vineyard. We spent a nice and qui quiet holyday. A beautiful Villa simply perfect!